Jalal ud din Mohammad Akbar Ghazi, also known as Akbar the great was born on 15 Oct 1542 in the fort of Umarkot, Sindh. He was son of emporer Humayun and the third Muhul emperor. 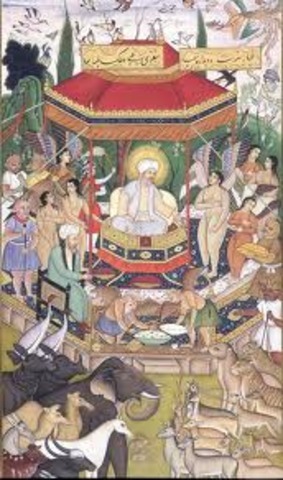 Akbar was crowned and ascended the Mughal throne on 14 February 1556 in Delhi. He was only 13 years old when he ascended the great Mughal empire due to the death of his father Humayun. 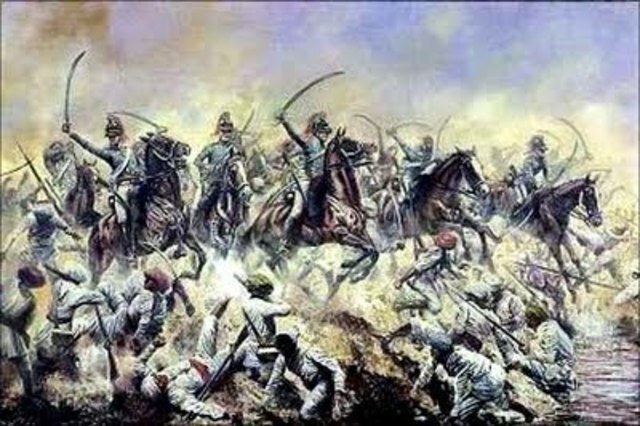 The Second Battle of Panipat was fought between the army of Samrat Hem Chandra Vikramaditya(also called Hemu) and the army of Akbar on November 5, 1556. Hemu was ruling North India from Delhi and Akbar fought this battle to reclaim Delhi which he lot in October. Akbar won because of his powerful and talented generals Khan Zaman I and Bairam Khan. 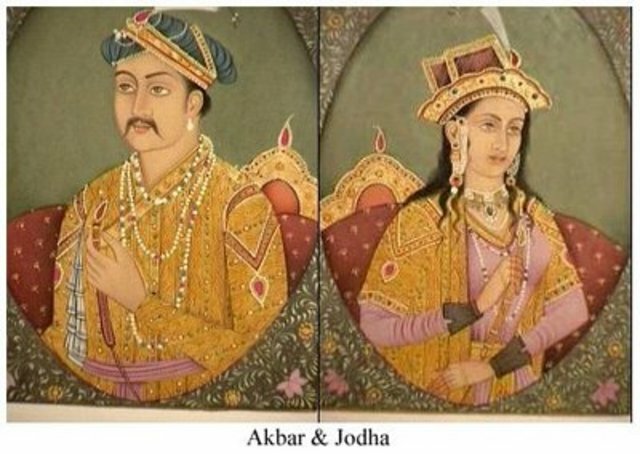 Akbar married Hira Kunwari (also called Jodha) on February 6, 1562, at Sambhar, India.This marriage is said to be a political alliance to solidify Akbar's rule with the great Rajput kingdom. As a result of this marriage , Akbar took Raja Bhagwan Das and Man Singh into the Mughal service, who helped him in many wars. 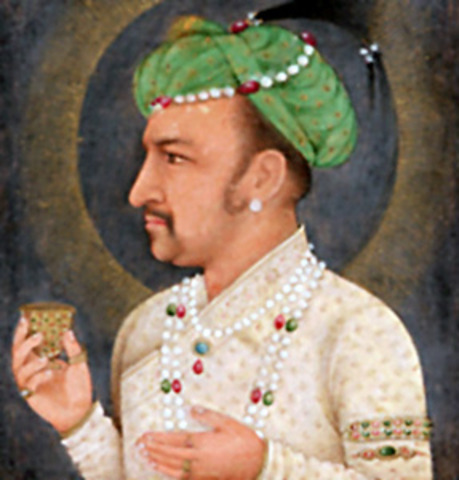 After many prayers and hardships, Jahangir was born in 1569 in Fatehpur Sikri. He was the only surviving son of Akbar and his sucessor. He was also called as Salim Chisti and Sheikhu Bab. Akbar annexed Gujrat in 1572 on being tempted by its rich maritime commerce and wealth. 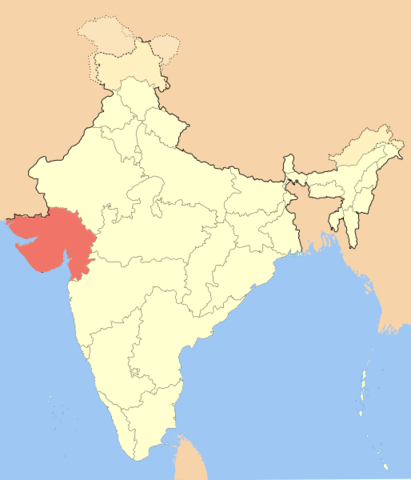 He did not face much resistance from the ruler at that time and thus the annexation of Gujarat was of great advantage. The Mughals got free access to the sea. The conquest of Gujarat brought the Mughals into tough with the Portuguese. Note - Exact day of November unknown. The great Mughal emperor, Akbar built the Buland Darwaza in 1601 to commemorate his victory over Gujarat. It is the largest gateways in the world and its name means great or high gate. 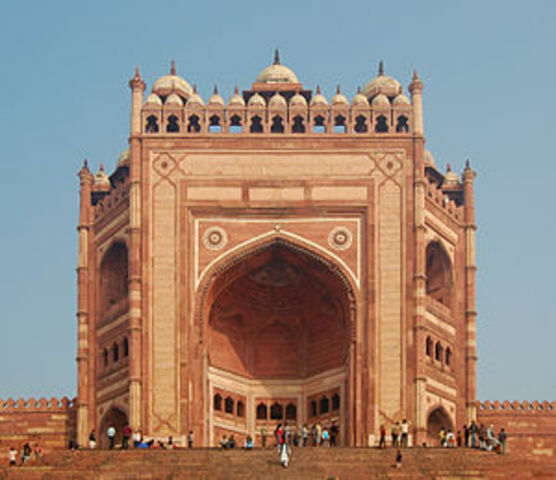 Its a magnificent example of Mughal architechture. t is situated in Fatehpur Sikri, near Agra, India. Note - the exact day of 1601 for construction is unknows, therefore I just used 1st January. After 10 days of his 63rd birthday, Akbar fell ill and never recovered. He died on 27th October, 1605. 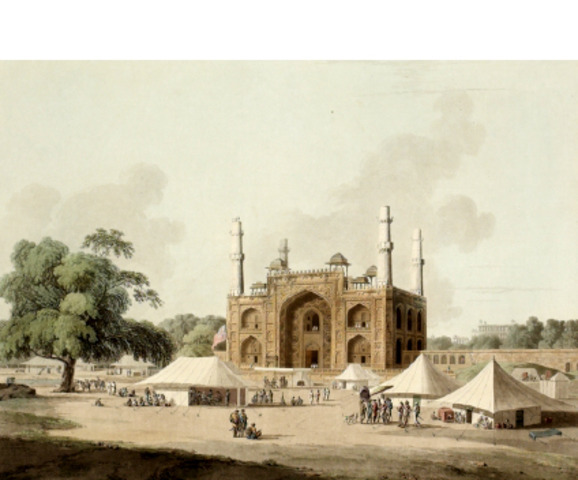 His body was buried at a mausoleum in Sikandra, Agra(as shown in picture).